As a first timer, I did not know what to order so I asked for some suggestions from the cashier. She offered teriyaki beef pepper rice saying it was their best seller. She also asked if I wanted curry dishes, steak, pasta, or chicken. Since I figured from their name that the house specialty should be pepper rice meals, I went with her first suggestion and ordered the best selling teriyaki beef pepper rice with egg. 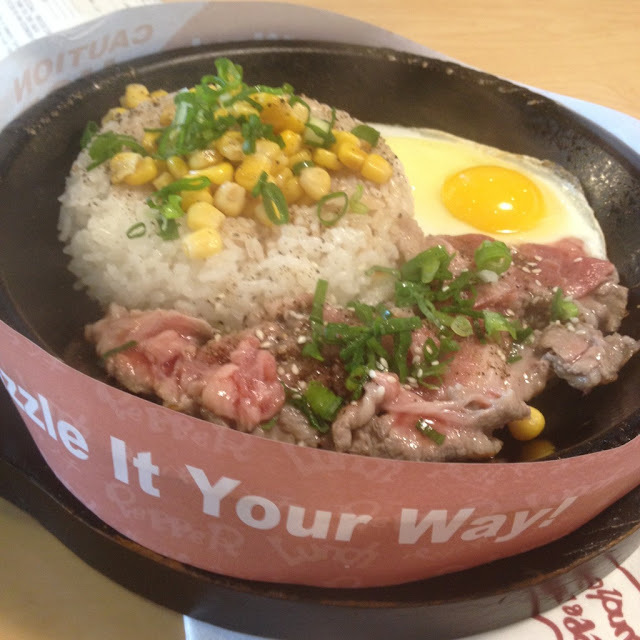 The order came in a sizzling plate with the beef still raw on one side. After mixing the rice, beef, and egg, I had the option to enhance the flavors with some condiments on my table: honey brown sauce and garlic steak sauce. I loved that honey brown sauce on my beef. The item that caught my attention on the promotional poster while walking outside the store was the "bonus meal". 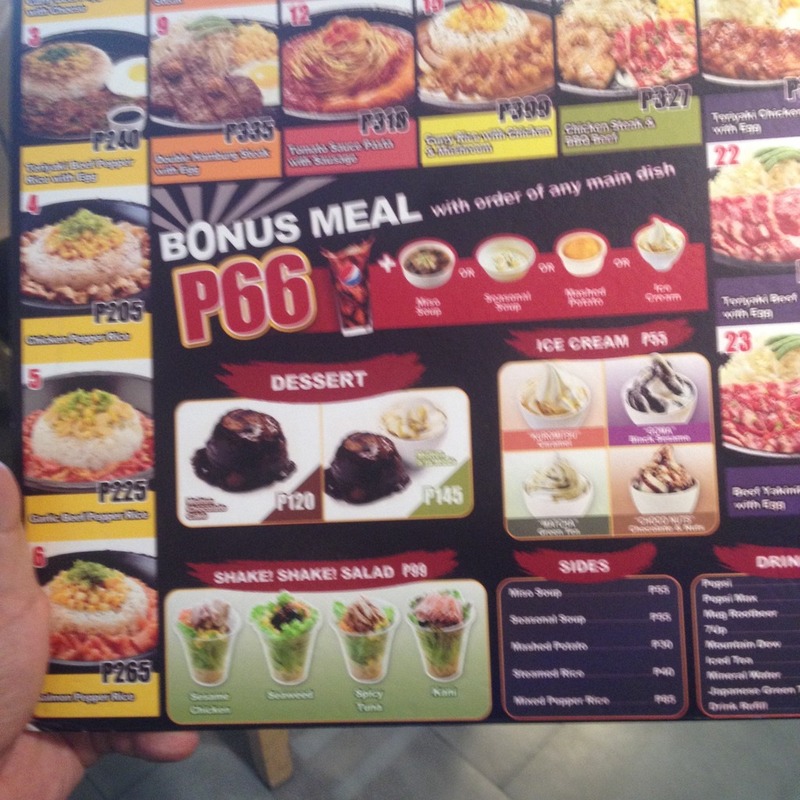 I asked about this and I was told that for an additional amount of only PhP 66, I get a drink, and a choice of a side dish or dessert. I got iced tea for my drink and korumitsu or caramel ice cream for dessert. 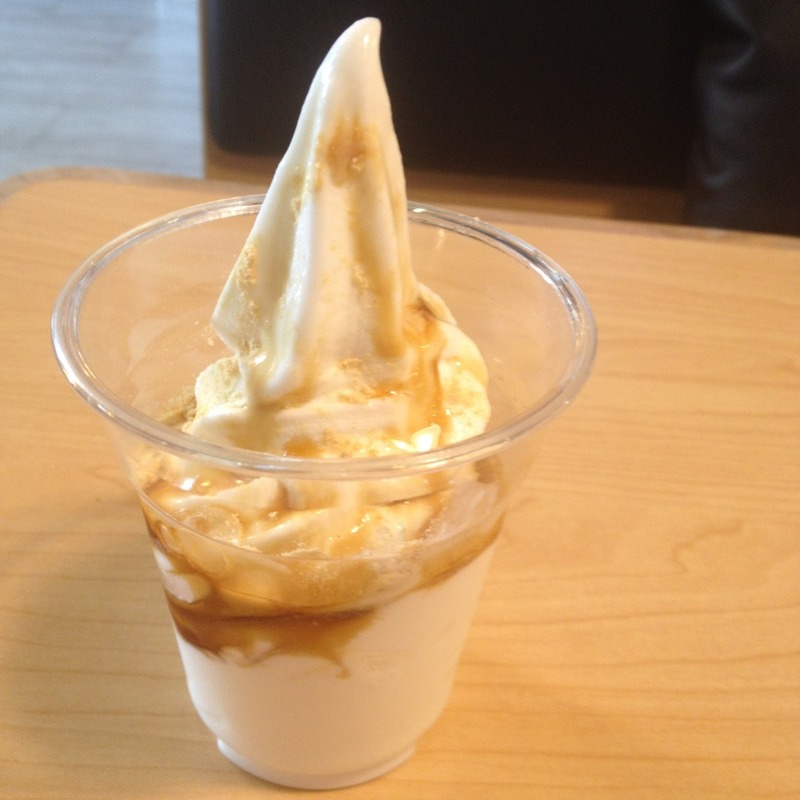 The ice cream was, well, vanilla ice cream and caramel. The bonus meal wasn't really a meal but more of drink and side dish or drink and dessert. 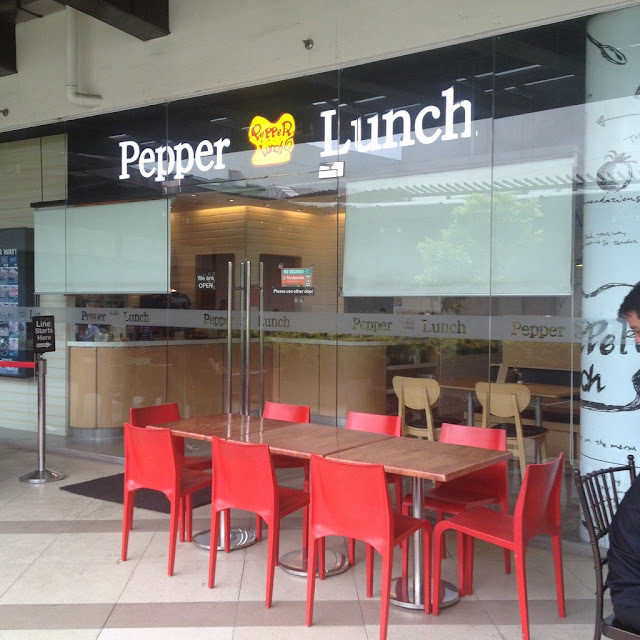 Have you tried the deals at Pepper Lunch? What do you think about it? Share your thoughts in the comment section below. Truly an amazing place. I have been there several times and always had a wonderful experience. I love visiting such venues with my friends. It’s our favorite activity as every one of us are foodie and love visiting new places.